Years ago, when you were ready to sell your home, you could simply throw a "For Sale" sign in the front yard and wait for the buyers to come. But in today's real estate market, it's a very different game. "When buyers have the luxury of both time and inventory on their side, they can be -- and are -- really picky," said Tammy Kemp, professional home stager and owner of First Impressions, a home staging and interior redesign company in Pennsylvania. To impress a discerning buyer, it's important to stage your home for sale. This means cleaning, sprucing up and decluttering your home to show it off in the best light possible. "The best looking things always sell first," Kemp said. "If you're in the grocery store, do you buy the apple that's bruised? Nope. You buy the brightest, shiniest apple you can find." Before you put your house on the market, make changes that will enhance a buyer's first impression. [Quote] | You want potential buyers to be able to imagine themselves living in your home. [Body] | Kemp emphasizes that first you need to figure out who your buyer will be. Is it most likely going to be a first-time homebuyer or a buyer who is looking to move up to a bigger house? 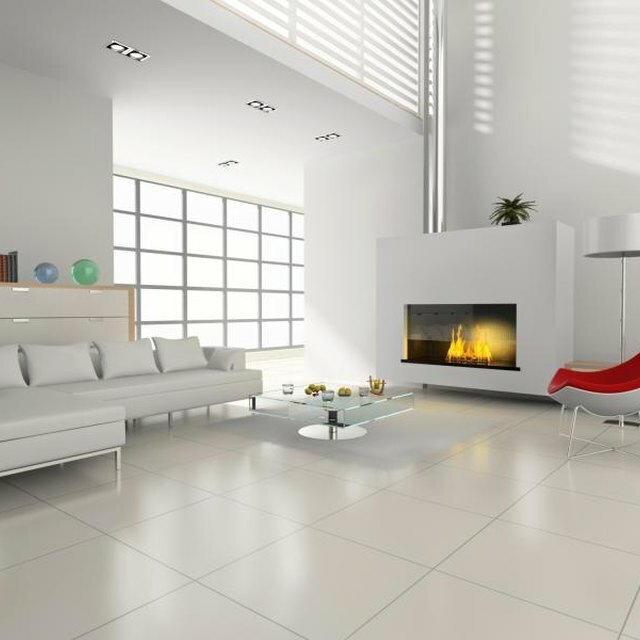 Once you have in mind who would be interested in your home, you can start showcasing what would attract them the most. "You want potential buyers to be able to imagine themselves living in your home," Kemp said. To that end, you shouldn't leave personal items that are specific to you. Kemp says that decluttering is an easy way to make your home more appealing. She strongly suggests removing highly personal items, including family photos, religious artifacts and sports trophies. It's also a good idea to remove any furniture that is just eating up space. Don't empty a room completely, but arrange the furniture so that it makes the room look as spacious as possible. "Your biggest goal as a seller is to make your home appear as large as possible, because above anything else, buyers want space," said Marcia Turner, co-author of "The Complete Idiot's Guide to Staging Your Home to Sell." [Body] | Likewise, clean out your closets to demonstrate how much storage is available. Turner suggests leaving closets only about 30 to 40 percent full. Once your home is decluttered, cleaning is imperative. And not just a light, cosmetic cleaning. The house needs to be deep cleaned, so it not only looks good, but also smells clean. Wash the floors, walls and especially the windows. "Allowing the maximum amount of sun to shine through will make the room seem brighter and larger," Turner said. She also suggests placing a fresh vase of flowers in the entranceway to set the right tone --- that this home is clean and cared for. After you've scrubbed down the bathroom, invest in fresh bathroom accessories, such as a shower curtain, [rug](https://society6.com/rugs?utm_source=SFGHG&utm_medium=referral&utm_campaign=8775) and towels, which will brighten and freshen up even an outdated bathroom. Another low-cost improvement for staging your home is adding a fresh coat of paint to a room. "For the cost of a few gallons of contractor-grade paint, you can create a space that looks brand new," Kemp said. She also suggests putting a fresh coat of paint on the front door, because while the agent fiddles with the lockbox, the buyer has nothing better to do than look at the front door. [Body] | The inside of the house isn't the only place that needs "for sale" attention. The lawn should be frequently mowed and be in prime shape with regard to any needed raking and pruning. The outside of your house is the first impression for a potential buyer, so you need to keep the lawn as nicely manicured as the inside of your home. It's also important to consider that your potential buyer may not be pet friendly. "Some buyers don't like pets, and others are allergic," Turner said. "You take a big risk not taking your pet with you while buyers go through." For pet odors, Kemp recommends using a product called Zero Odor. It doesn't mask a pet smell, but instead simply eradicates it. Staged homes have been found to sell faster than homes that have not been properly staged, according to StagedHomes.com. So taking the extra time to present your home in the best possible light can certainly pay off, says Turner. "The way you present your home to buyers may not be the way you generally live in your home, and that's OK," she said. [Do Freshly Baked Cookies Really Work?] | The old belief that adding welcoming smells enhances a potential buyer's experience in your home is just that -- an old belief. Expert home stagers emphasize that CLEAN is the only smell that should be in your home. Home stager Tammy Kemp points out that cookies leave crumbs, which can harm any home staging. Additionally, children often attend showings, and they have a tendency to touch the walls after eating a melted chocolate chip cookie. She also discourages the use of candles. "It makes buyers wonder what you may be trying to cover up," Kemp said. Additionally, some people are highly sensitive to the fumes that candles give off. It's just common sense that you should never cook anything with a very strong odor before a showing --- no sauerkraut, fish, ethnic foods, onions or garlic. Kemp suggests that you run a lemon through the garbage disposal to give off that fresh, clean smell. Based in Los Angeles, Rebecca Ford has been writing professionally since 2006. Specializing in entertainment, pop-culture and travel, she has written for "Los Angeles Magazine," "Metromix" and Deadline Hollywood Daily, among other publications. Ford holds a Master of Arts in print journalism and a Bachelor of Arts in visual communication. What Are the Benefits of Trimming Beards? Should I Match Kitchen & Bathroom Cabinets?